Ailsa’s travel-themed photo challenge this week is Deep. New York City, December 2010. More snow photos from that winter are here and here. This entry was posted in New York City, Photography and tagged Deep, New York City, Photography, postaweek, postaweek2013, Snow, Travel, Weekly Photo Challenge. Bookmark the permalink. 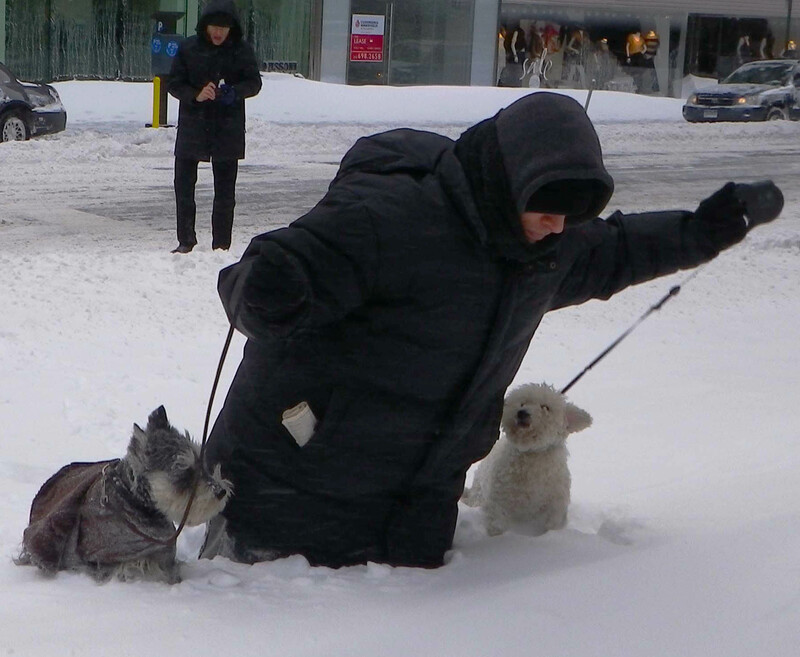 I love the way the little dogs float on top of the snow while the poor owner slogs on. I remember that snow! what a wonderful array of photos…My Aunt used to live in Syracuse, NY and would send us photos here in Louisville…unbelievable! Fantastic photo, just perfect for the theme. The dogs look rather baffled! that is some deep snow! 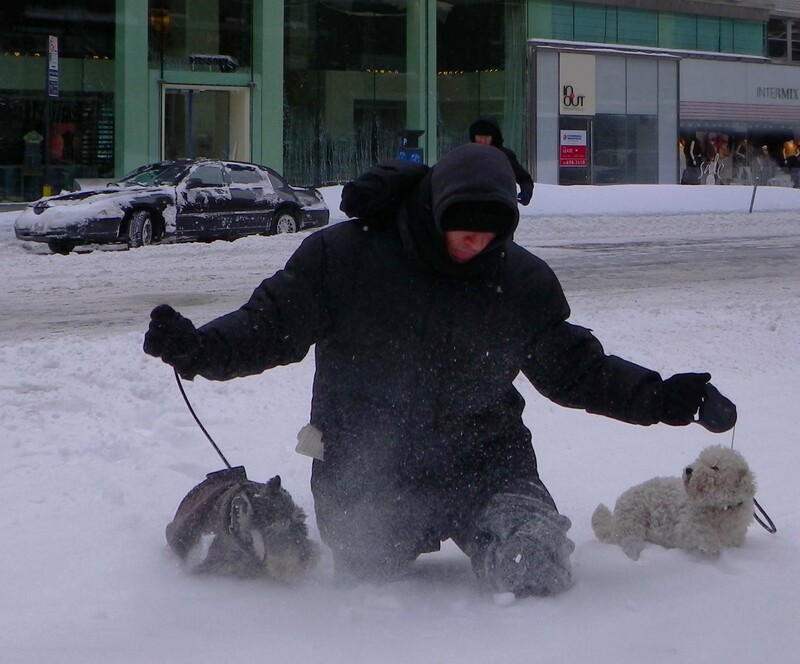 That dog walker looks like he is in a bit of trouble! coming soon in Chicago, and it’s always only fun for a few days. Not good for island guys like me.